Design custom silicone bracelets to show your passion and interest in playing Whirlyball. All wristbands from AmazingWristbands.com are made of long-lasting, comfortable, latex-free, and non-allergenic silicone. 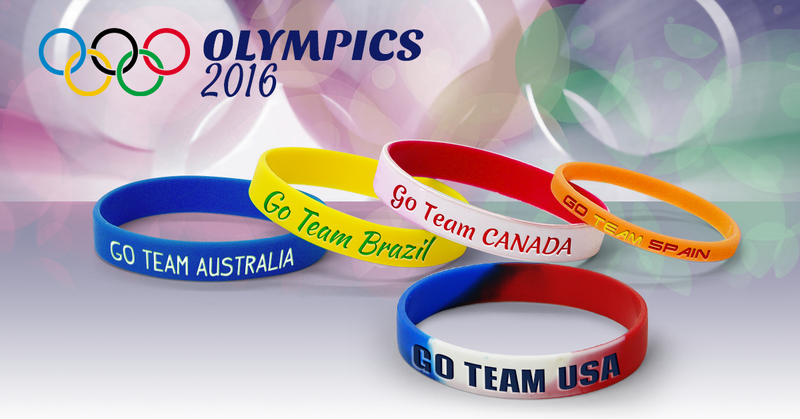 You can create customized Whirlyball bracelets with your own message. 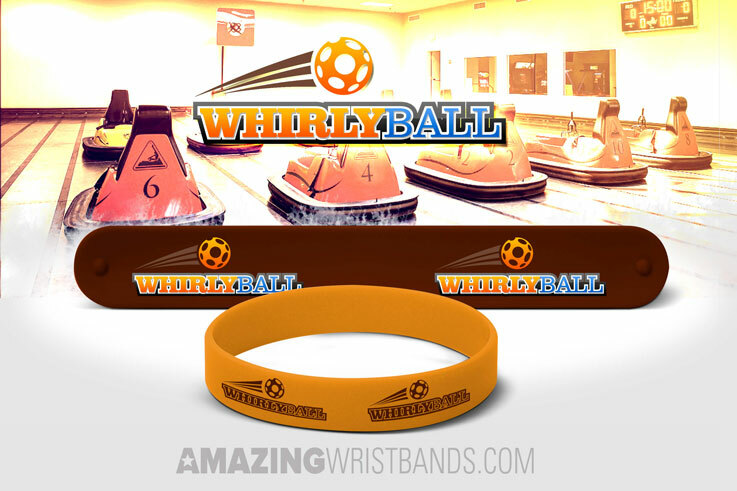 Whether you are promoting your Whirlyball facility, a special Whirlyball event or simply want to show your passion for Whirlyball, we can design a custom wristband for you. Score a Goal with Hockey Wristbands! 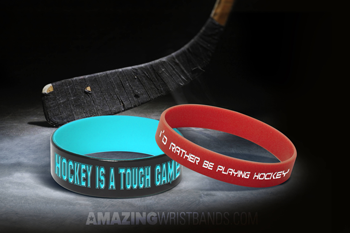 Create wristbands with message to support Hockey. Whether on ice or in a roller rink, hockey is unique in its very own way. In hockey, five players from each team play against each other at a time. The goal is to score on the other team’s net. Several aspects go into each one, such as body strength, endurance, skill, awareness, speed, and sportsmanship. In general, people enjoy the speed of the game and, in ice hockey specifically, the physical aspect that brings about a sort of intensity. Although originally a Canadian sport, hockey is enjoyed around the world, in many ways, whether in recreational leagues or competitive leagues such as the NHL.